As the daughter of an aviation-obsessed family who launched Ryanair, you may have expected that Danielle Ryan would follow in the jet-stream and be all about aeroplanes by now. Not so. She may spend half her life flying from one exotic destination to another, but it’s all in the name of research for her vibrant triple-directional company, Roads. Why choose between launching a publishing house, a film production company or a fragrance house when you can do all three at once? 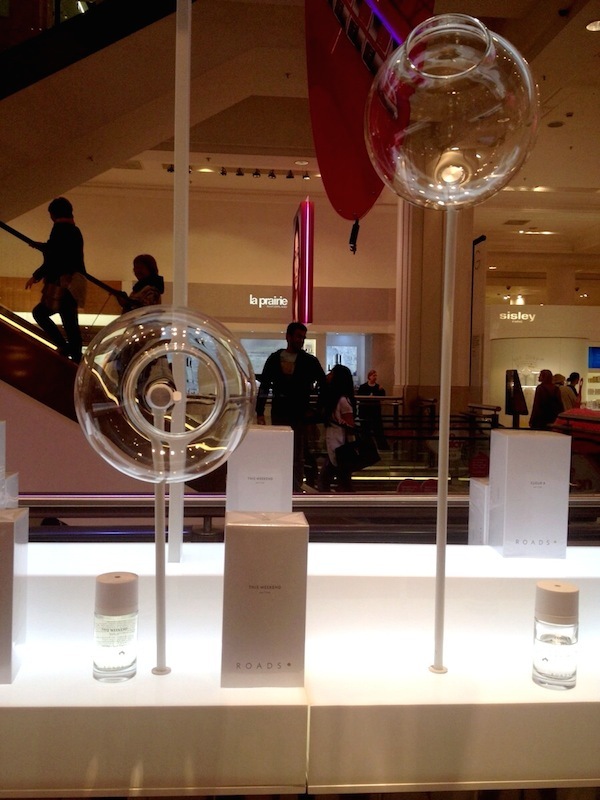 PHOENIX caught up with Danielle at Selfridges, fresh from yet another airport, wheeled luggage in tow, to explain this peculiar concept and sniff the glass ‘pods’ of Road fragrances that make up part of their stand in the sumptuous beauty hall. The Roads perfumes are presented in beautiful, almost starkly, simple white packaging – a deliberate attempt to de-characterise and appeal to both genders simultaneously. Although some of the fragrances are more traditionally feminine than others – ‘Graduate 1954’ exuding a heady fifties glamour, the scent of lipstick, expensive hairspray and killer heels worn with seamed stockings – there are always surprises in what the consumer will wear when gender has been taken out of the marketing. In Milan, this one was a best-seller among men, proving you should never judge a perfume by its bottle. The glass pods are an innovative way to experience the Roads fragrances – inviting passers-by to casually lean in and take a big sniff instead of being bombarded by sales people hovering with bottles poised. From the incredibly original ‘White Noise’ – inspired by modern technology and the ‘static calm of stillness and reflection’ – to the dryly exotic sand-dune mirage of ‘Harmattan’: ‘the scent of the wind as it crosses the Sahara desert.’ – with the cashmere snuggliness of ‘Cloud 9’: ‘a feeling of floating happiness. Clean air, hot milk, comfort and lightness.’ in between; there truly is something for every taste within this exciting new range. Choose the well-clipped hedge-trimmed primrose path or the wild and unknown road less travelled by – wherever she ends up, Danielle Ryan is living life to the full and exploring every path to her destiny. 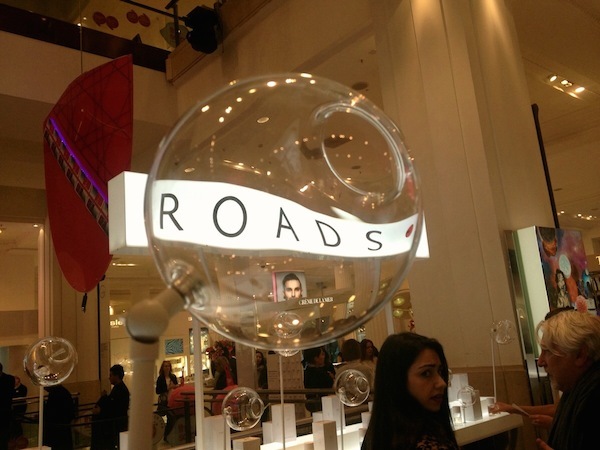 Roads fragrances are available at Selfridges in the UK, and from select retails worldwide. Please see their website for more details.